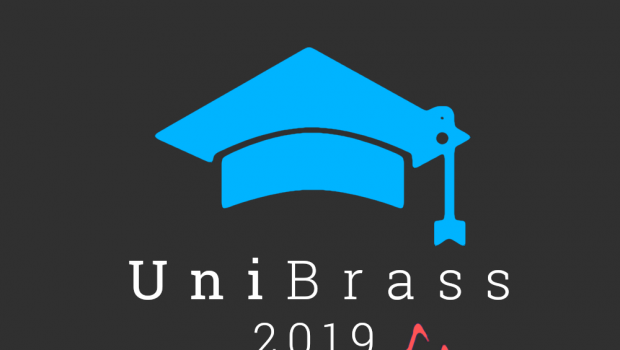 The UniBrass Foundation is excited to announce that they have appointed a new trustee, Sophie Hart, to the board after advertising for the position in October. a board of trustees devoted to widening participation and promoting opportunities for brass playing at University as well as supporting the UniBrass Contest Organising Committee. A final year English literature student from the University of Southampton, Sophie is the current President of the University Brass Band and will be attending her 4th UniBrass next February in Bangor. As well as being an integral part of her university band, Sophie’s arts industry experience includes a year working in the marketing team of the Bournemouth Symphony Orchestra. She has also undertaken work experience at BBC Music Magazine and with the són project, Southampton’s only professional orchestra. continue to promote and support University Brass Banding.